A common and harmonized trans-Atlantic policy is more than ever essential to successfully overcome the current crises to the east and the south of Europe’s borders. The alliance between the US and its European allies still seems strong, but it needs to be calibrated. A revival of the Pax Americana is not realistic. And while Europe seems to have developed a certain readiness to defend its own borders, it has not led to a substantial increase of its defence expenditures. 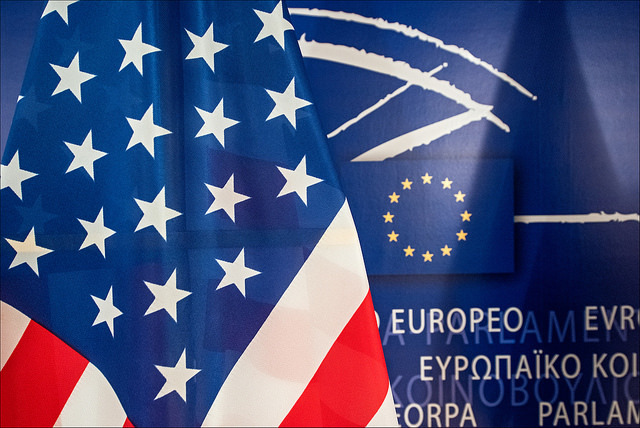 There is still a lot of uncertainty in regard to the future of American and European foreign and security policies and the robustness of the trans-Atlantic alliance. In this context, we plan to organize a “Review 2015 – Trans-Atlantic Relations” conference, taking stock of where we stand (to paraphrase the German philosopher Nietzsche), and a possible way forward. Nadia Arbatova (IMEMO, Russian Academy of Sciences), Tony van der Togt (Institute Clingendael), Alex Krijger (Shell International), James Jeffrey (Washington Institute for Near East Policy) and Faysal Itani (Rafik Hariri Centre for the Middle East), among others, will be discussing the issues raised. In what direction are American and European politics maneuvering themselves towards? Russia and the Ukraine crises, Syria, Iraq, and IS: how to cut the Gordian knot? On the eve of this conference, James Jeffrey will hold a lecture on the topic of 'The West’s Responsibilities in the Middle East: How to Address the Threat of IS?'. 16 April 2015 at Perscentrum Nieuwspoort, the Hague. Registration: For participation in the conference, registration is required via aanmeldingen-dia@uva.nl.